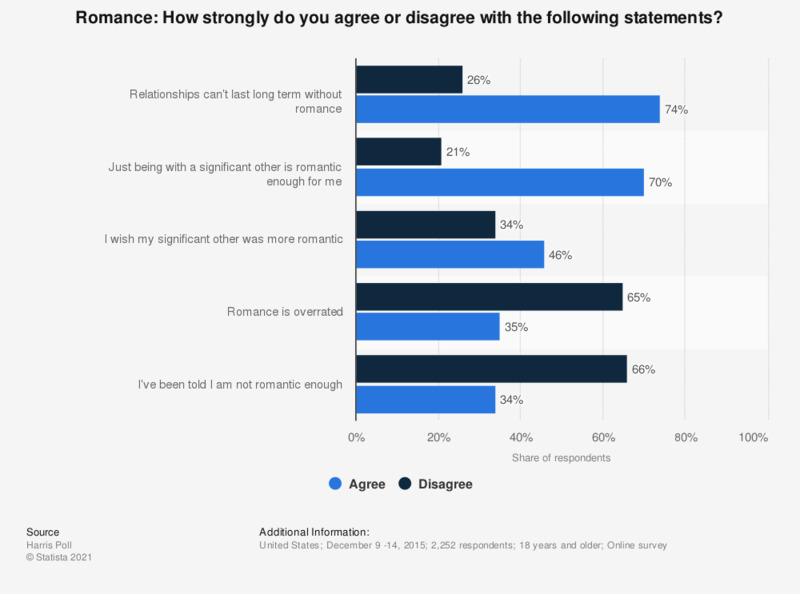 This statistic shows the results of a survey conducted in the United States in 2015 which shows the importance of romance in a relationship. Results show that 74 percent of respondents agree that relationships can't last long without romance. Which of the following, if any, was the inspiration for taking this most recent romantic getaway?